We are excited to announce we've expanded our dog waste bags line. 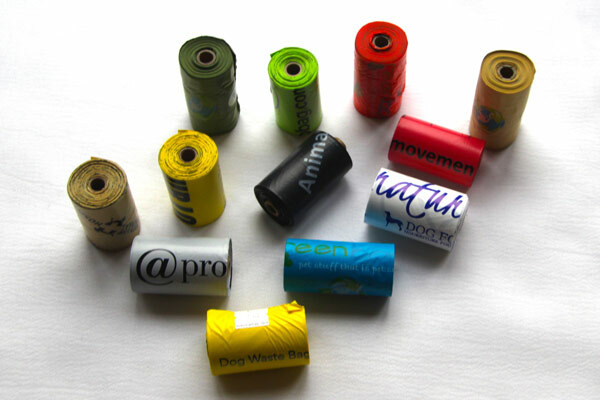 We now offer custom printed small dog waste bag rolls made for leash dispensers. These are our standard size bags wound into the small rolls. This is an opportunity for you to make private label dog waste bags geared toward consumers. You can send an advertising message right to your target audience. These bags are great to use as giveaways to earn future customers or sell to current customers reminding them of your business during each use. These bags are not limited to custom printing for pet related businesses. In any business field, your customer may be a pet owner! These bags are a great option for promoting grocery stores, family owned business, real estate offices, car dealerships, hair salons, health stores and many more. Bags measure 8" wide x 11.875" wide. Orders take an average of 3 weeks. Bags are made in the USA! EVERY USE OF THE BAG OFFERS YOU A POTENTIAL CUSTOMER! *2,000 roll minimum on all custom printed designs. *We reserve the right to reject images as inappropriate to print.